Summary: I have no doubt that Hoodwinked will please little children, do well enough at the Box Office and will make a lovely Christmas present for little Johnny. It seems quite surprising that, given the success of the Pixar films, Studio Ghibli and most notably the Shrek franchise, that more people haven’t cashed in on the animation craze (I can only assume that its because animation is an expensive and very labour-intensive way to bring stories to the screen). Here at last though, we have Hoodwinked, a very post-modern reworking of Little Red Riding Hood, which sadly owes less to Angela Carter than to The Extreme Channel. The mysterious ‘Goody Bandit’ has been stealing the valuable recipes that drive the forest economy (could he be Gillian McKeith in disguise?). The police investigation, led by Nicky Flippers (Stiers), is hampered by the fact that all their suspects clearly have something to hide, and each tells a wildly different version of the truth. Who is the criminal: sweet little Red (Hathaway); doddery old Granny (Close); the Big Bad Wolf (Warburton) or even the axe-wielding Woodsman (Belushi)? 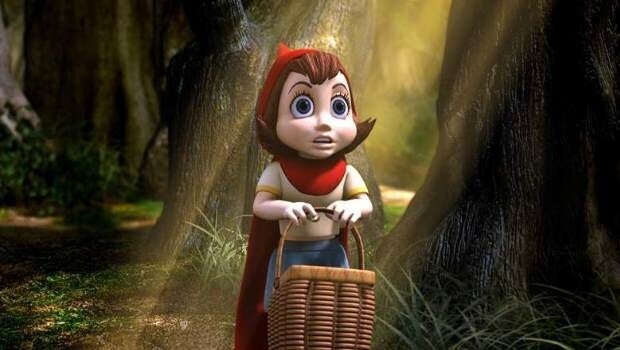 Reinventing the story of Red Riding Hood as a hard-boiled noiresque crime caper is clever, and having the multiple storylines and digs at modern American corporations are all fun, but nonetheless Hoodwinked is oddly disappointing. The slightly infantile style of animation sits uncomfortably with the adult emphasis in the storyline, and it never manages to strike the elegant balance achieved by Pixar and the Shreks between adult material and, you know, for kids. But mainly it’s just never as funny as you think it ought to be. I worked out pretty early on who the criminal was, and was right (anyone who has ever read an Agatha Christie novel will soon crack that code). The cast are all fine; Glenn Close especially seems to be having fun (what’s happened to Glenn Close, anyway? It’s time for a comeback). Oh I don’t know. I’m not the target audience, I know that only too well, but I guess that recent animated films have raised the bar so high that anything less than perfect seems like a failure. I have no doubt that Hoodwinked will please little children, do well enough at the Box Office and will make a lovely Christmas present for little Johnny. Oh, and the songs are a bit rubbish as well.